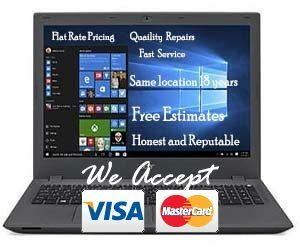 Are Used Laptops Really a Bargain? insight into this topic that you should be able to make a wise choice. trust you have in who you are purchasing the machine from. We sell used laptops and we completely refurbished them before they are sold. We stand behind our used laptops as well. Without a reputable dealer the 30 feet 30 second warranty usually comes into play and that deal you just made can cost you more after you find out it needs works or something goes wrong and you end up having to buy a new one after all. A big concern should be what Operating system do you want? If you want the latest windows 10 then do not bother buying a used machine. Go right to retailer and buy a brand new unit. However if you are like about half of the country right now, you don’t like or want windows 10 and were and still are very happy with windows 7. Nothing wrong with that, I like windows 7 myself. It’s fast, easy to navigate no pesky tiles or bizarre menus to learn about stuff I already know and love about the OS. So this is a very good reason to buy a good used system from a reputable dealer. You get a good reliable used laptop at a reduced price with the OS that you know and love. Make sure that you have decent hardware specs on your used unit. As always the cpu is very important. Amd or intel mimuim dual core for the cpu or better. Memory 4 gig or more, 250 gig or bigger hard drive. Select the screen size you prefer. The Larger 17 inch screens are nice but the unit tends to be heaver. laptop. I must issue a warning about some of these so called incredible deals for a brand new laptops for next to nothing. Be aware that most of these are little more that glorified tablets with very small hard drives and rely on cloud storage. Please feel free to call us or stop by we would be glad to advise you.